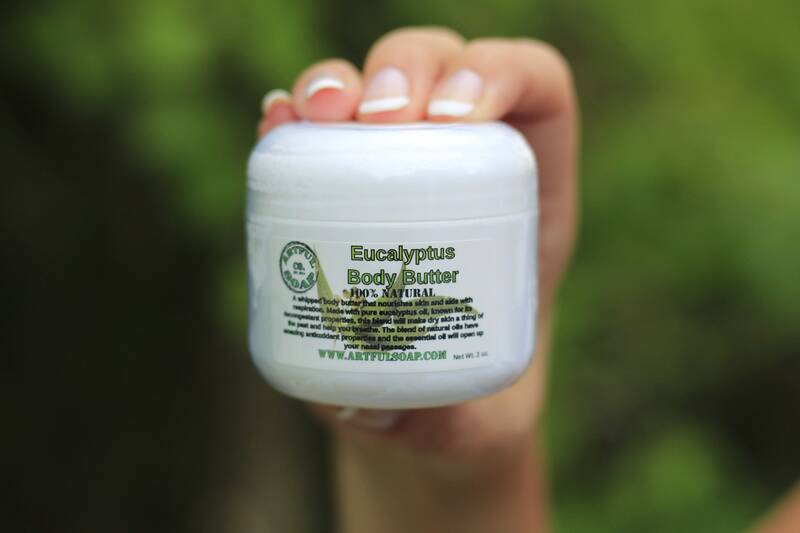 This eucalyptus body butter nourishes skin and opens up the respiratory system. 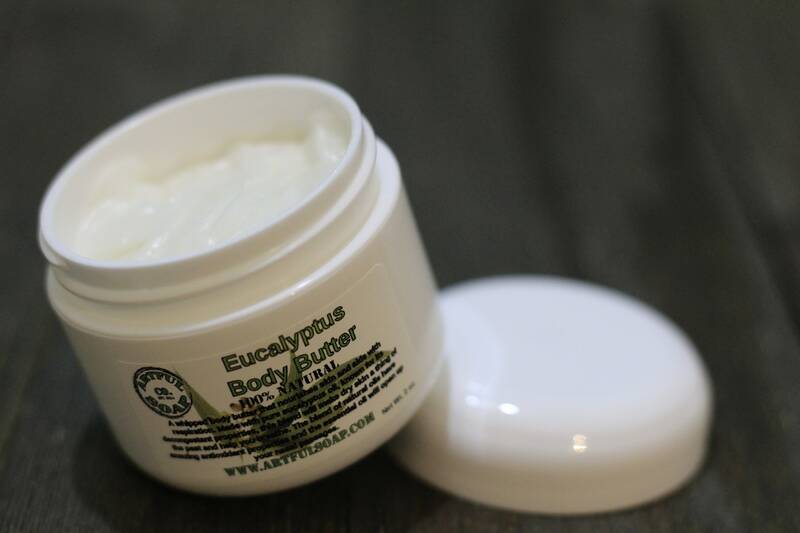 Made with pure eucalyptus essential oil, it has amazing healing properties and aids in clear respiration. 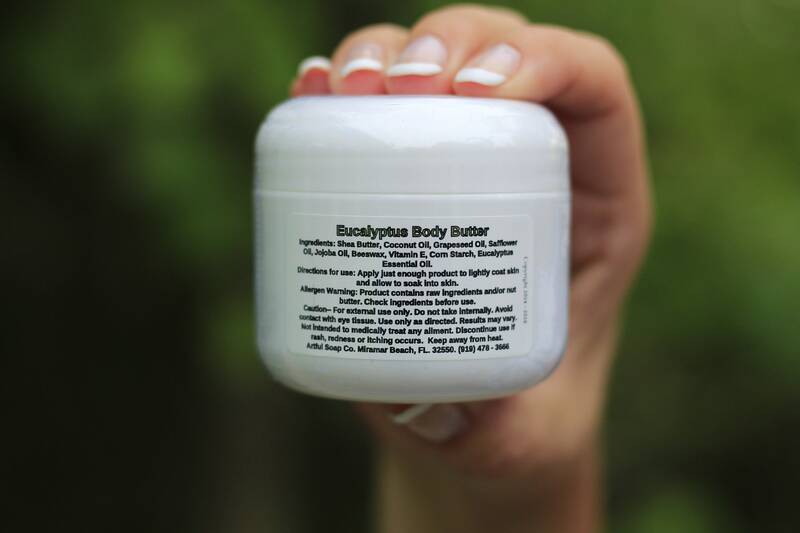 This blend will make dry skin a thing of the past and help you relax with the scent of fresh eucalyptus. The blend of natural oils have amazing moisturizing properties and spread on light; not leaving you feeling greasy. Ingredients: Shea Butter, Coconut Oil, Grapeseed Oil, Safflower Oil, Jojoba Oil, Beeswax, Vitamin E, Corn Starch, Eucalyptus Essential Oil. 2 oz net wt.